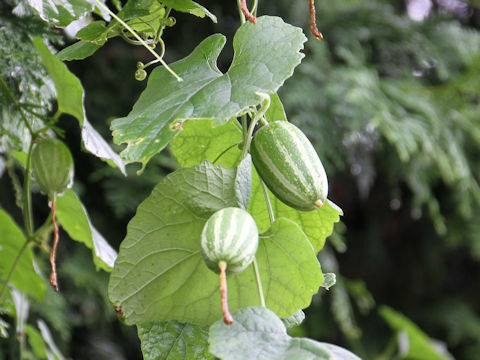 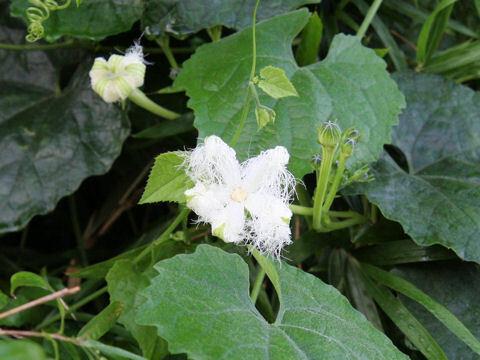 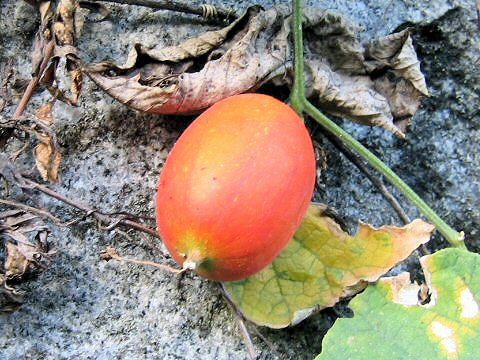 "Karasu-uri" (Trichosanthes cucumeroides) belongs to the Cucurbitaceae (the Gourd family). 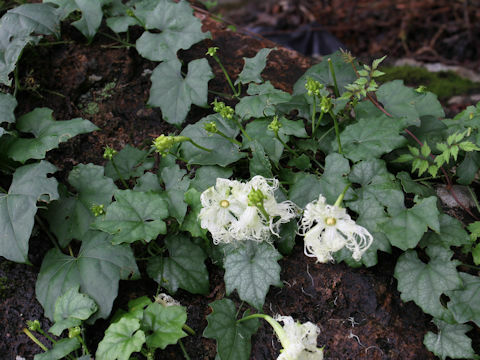 It is a perennial herb that is native to Honshu, Shikoku and Kyushu of Japan, as well as the Korean Peninsula and China. 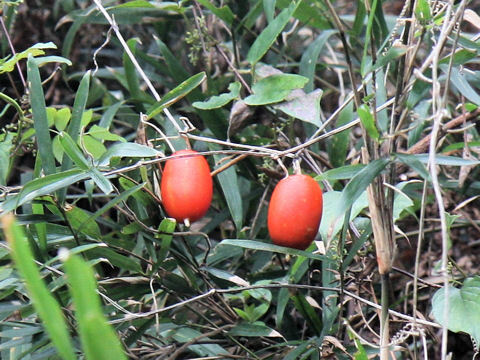 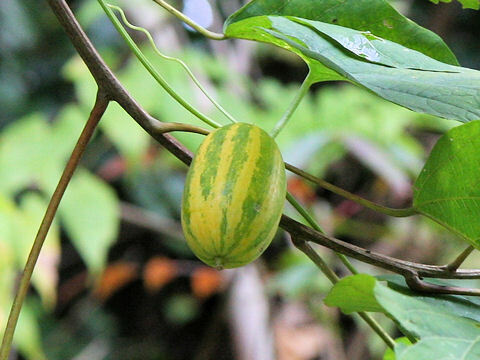 This herb grows in forest edges and climbs up adjacent trees or bamboos. 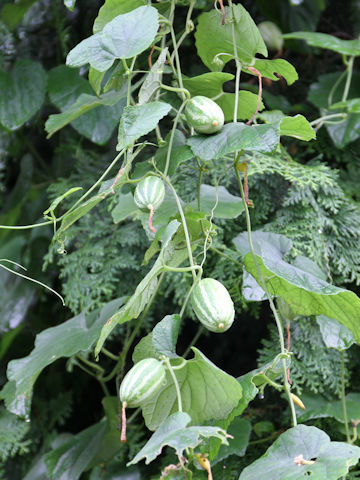 The leaves are ovate and divided into 3-5 shallowy lobes. 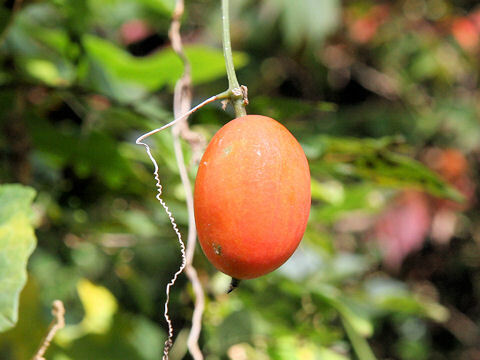 It is dioecious. 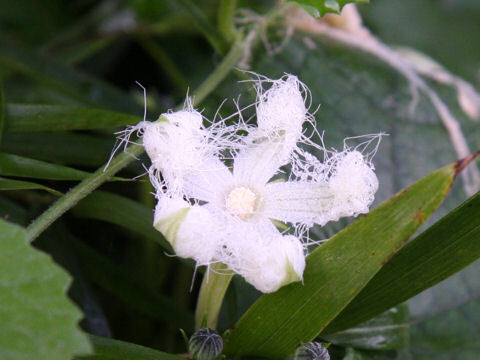 The white lace-like flowers come in July to August. 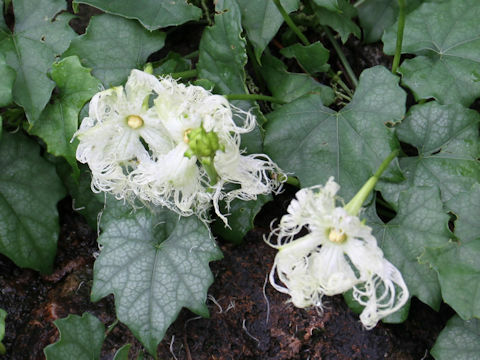 They bloom at night and close in the morning. 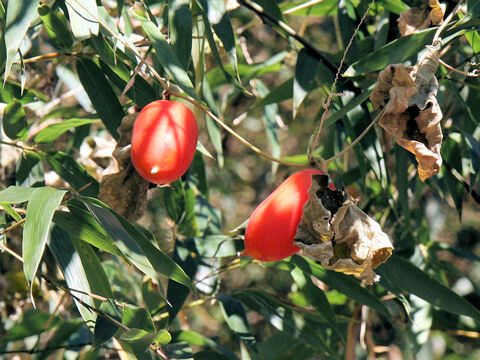 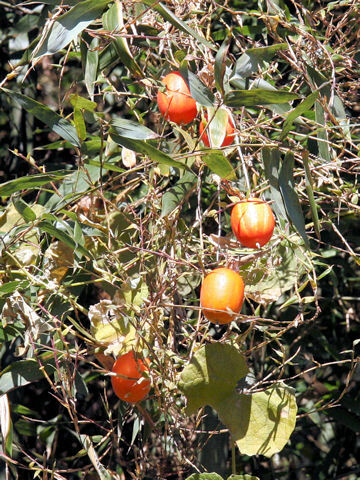 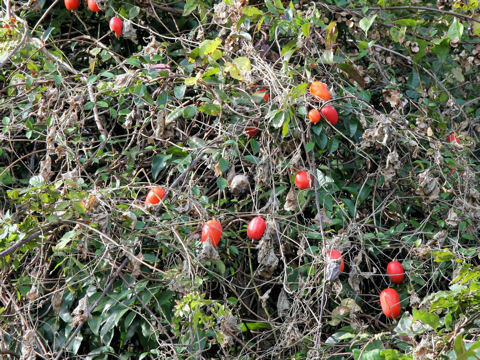 The fruits are elliptic berries and ripen in red in fall. 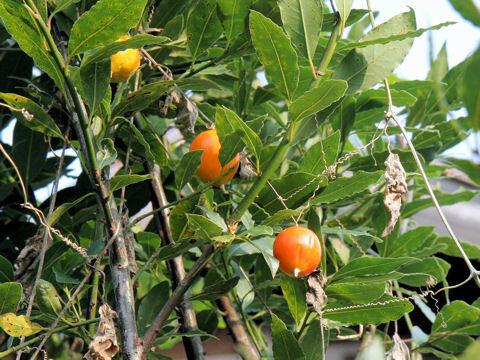 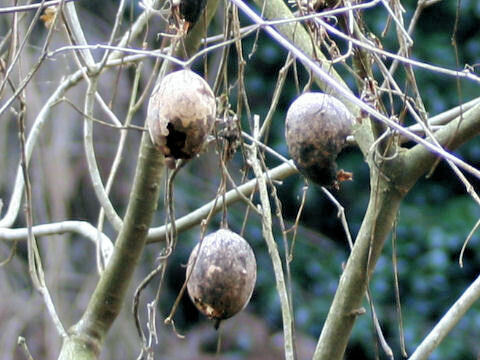 They are used as a herbal medicine for pernio.